Liked what you heard? Check out the resources & next steps below! Thank you for attending Connect Partner Day 2018! Event NPS: please provide us with overall feedback on the day so we can improve for the future! Post-event Discussion Forum: For any questions or ideas from Connect Partner Day or Agency Partner Day. Each talk has a corresponding topic in the developer community where users can ask questions, post ideas, and engage in discussion. To access the private forum please fill out your account information here. Apps for Agency Services Program: learn more about the program and how to sign-up! API Roundup: a curated list with relevant links of all the new HubSpot API releases. 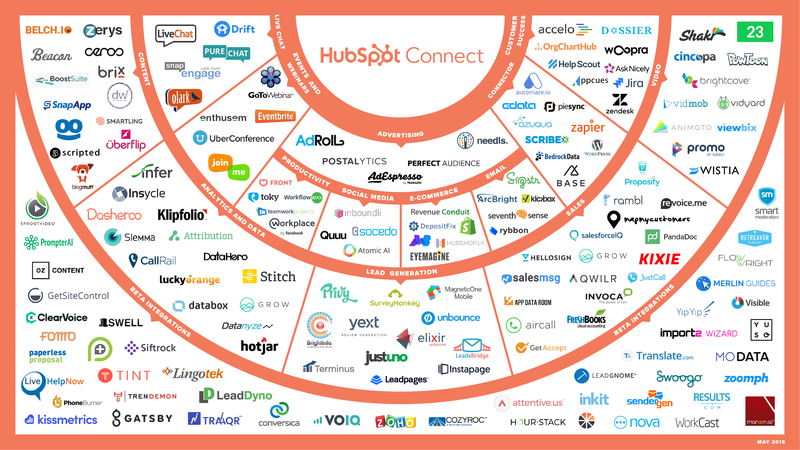 HubSpot For Startups: shoot the team an email at connectforstartups@hubspot.com to learn more and start a conversation. Partner Day @ INBOUND was created to enable HubSpot Agency and Sales Partners to get more out of their INBOUND experience. The goal of the event is to enhance the partner community through networking and learning opportunities. This one-day event focuses on driving product knowledge and adoption of new HubSpot products, as well as connecting agency partners with their peers and industry experts to help their agencies grow better. Please reach out to connectmarketing@hubspot.com.